Hello from Mount Shasta! When we last checked in, we were just past the halfway mark on this National Scenic Trail. We have since walked well into the second half, which is both exciting and a reminder that it won’t last forever…so we need to savor it! 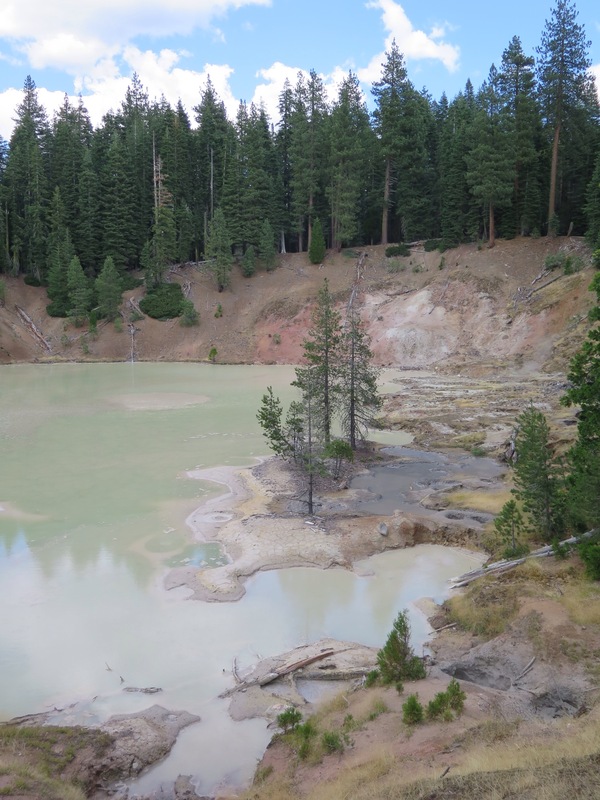 We started this stretch by entering Lassen Volcanic National Park, where Mount Lassen loomed large, and geysers and boiling lakes bubbled. 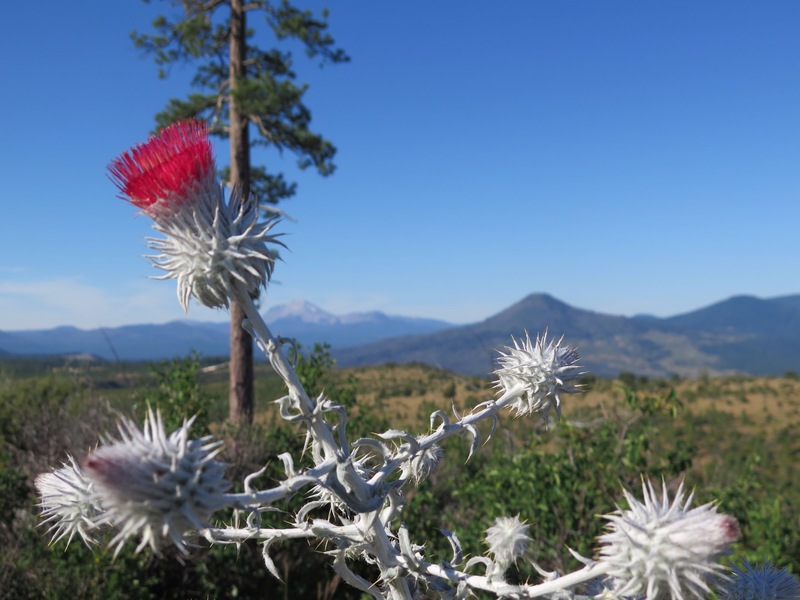 It was unlike any other landscape we have encountered on the trail. 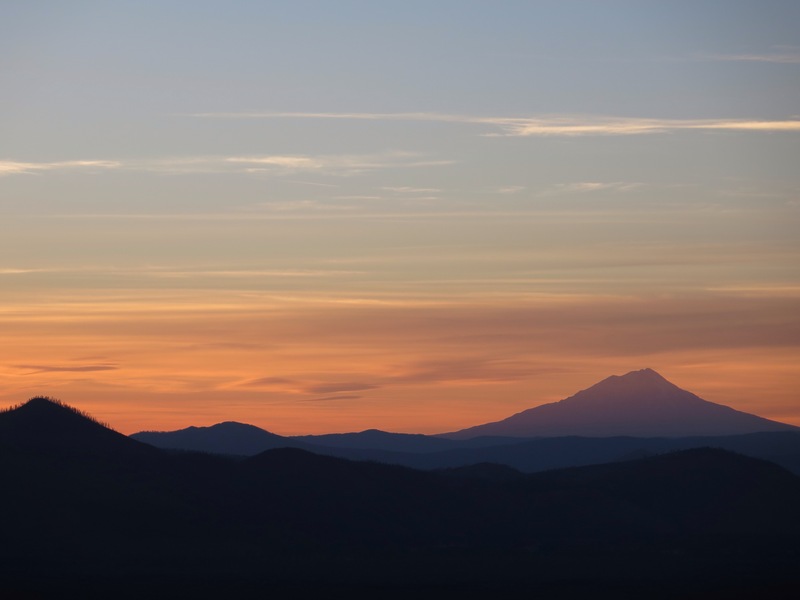 From there, we climbed to Hat Creek Rim, a long, waterless and exposed area where we got our first view of Shasta in the distance as the sun set. 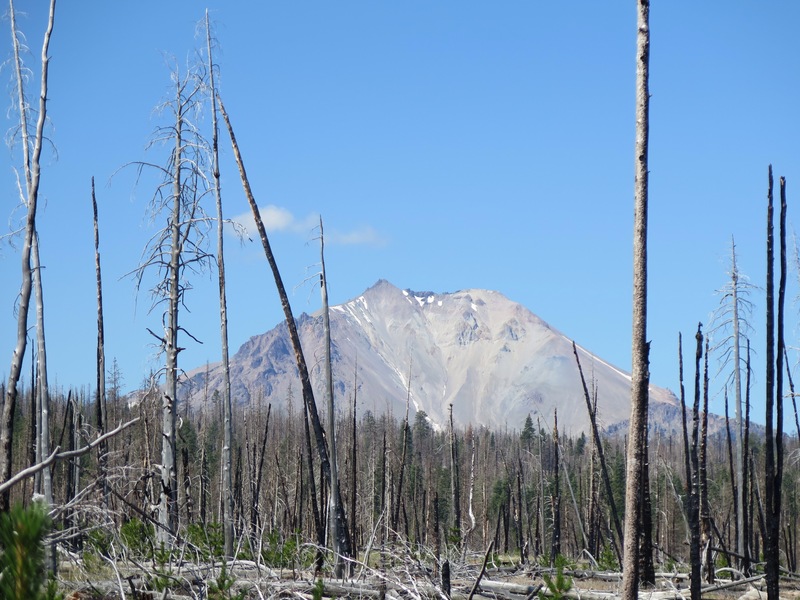 To our left, Lassen towered; to our right, Shasta dominated. For the rest of the week, our hike was bookended by those two beautiful beasts. After hiking under the sun all day on the rim, we hiked down to tree cover. 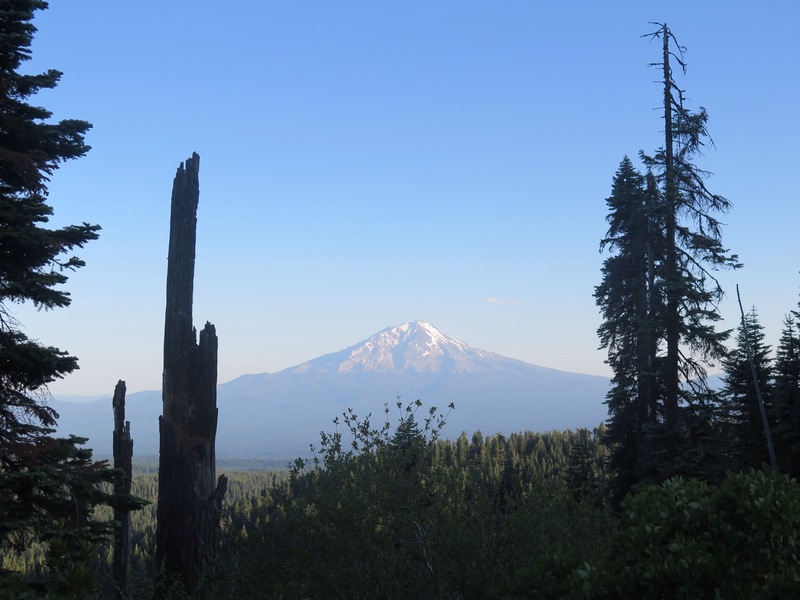 The next few days we alternated between being under the trees and being on ridges with views of Shasta as we hiked nearer to the behemoth. Each morning, the mountain would appear against a perfectly blue sky. By late morning, she had garnered one cloud, and by early afternoon a whole storm system sat over the volcano. She has a very commanding presence! 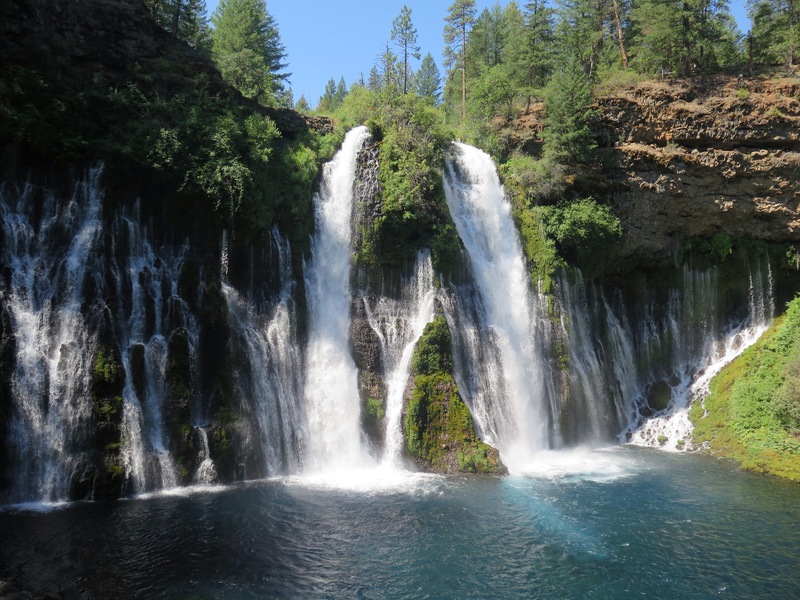 In a week of extremes, we also visited Burney Falls State Park, where gushing, gorgeous waterfalls provided a refreshing break from the hot and dry stretches. It was also a week of reunions! Because we took five days off for our family trip, we didn’t think we would see some of our favorite hikers again (after all, they kept on hiking). But this week, we joyfully reunited with some folks we hadn’t seen for hundreds of miles. We had the best time catching up with Pretzel, B.K. and Prickly Pear. We’ll catch you yet, Minty Fresh! Breaking news: It’s HOT. This was our first leg of the trip without chilly nights. The heat made for some extra blisters and impromptu swims, but it is summertime, so we can’t be too indignant or surprised. After this hot week, we are gladly resting up with our friends Christine and Linda and their merry band of animals. 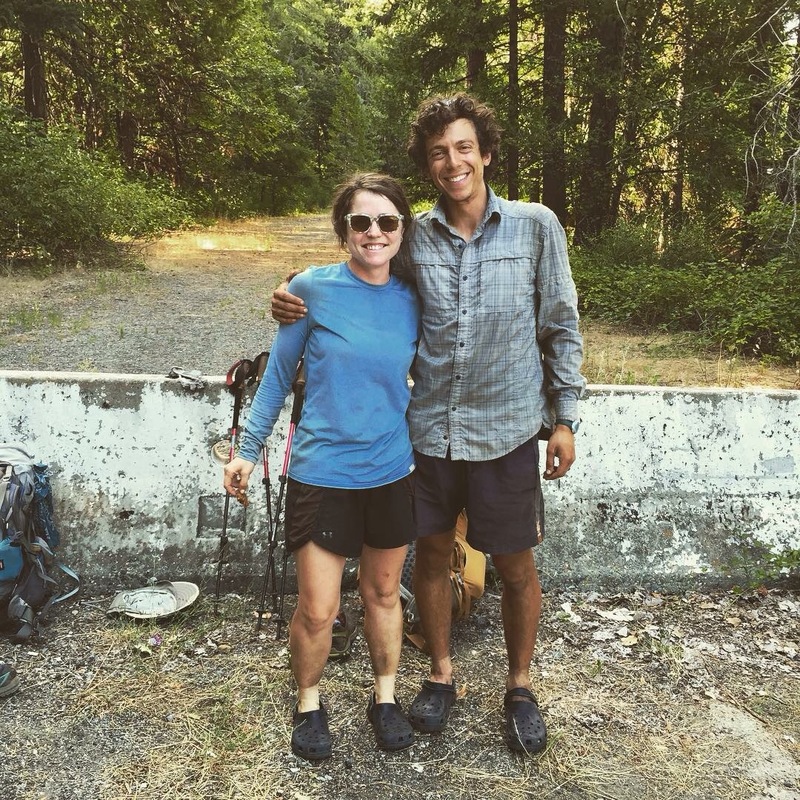 Their Shasta home has already been a beautiful and cozy respite for these two sweaty, dirty hikers. 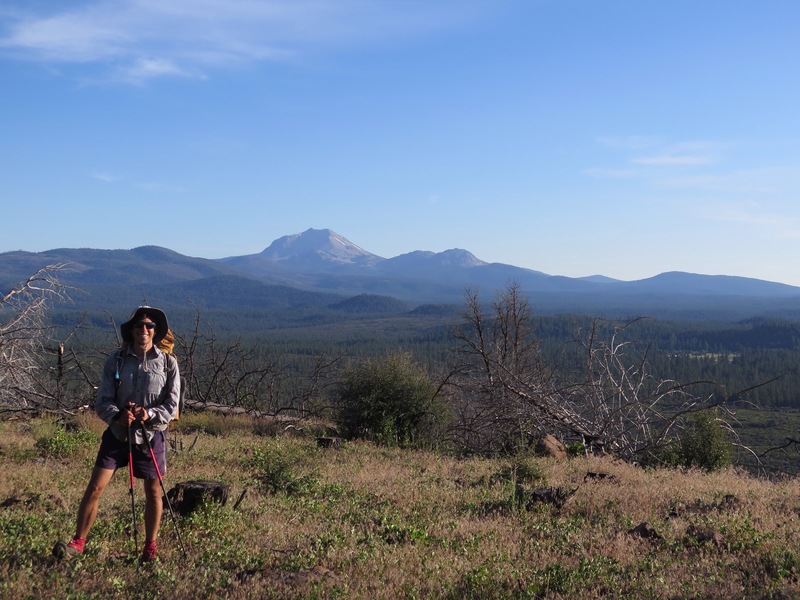 Returning to the trail tomorrow, we will have less than 200 miles left to hike in California. If we hadn’t realized it before, we now know that this state is HUGE. It’s hard to believe we have covered so much ground and seen so many different sights, and we’re still in the same state. I love the pictures!! How many miles are y’all hiking per day? Thanks, Sarah. 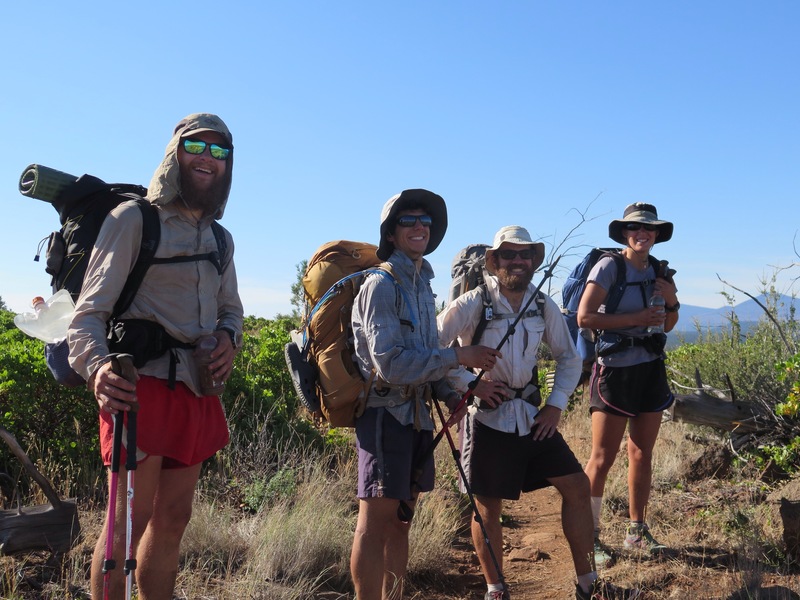 It varies based on terrain, weather, and attitude, but we usually aim for between 22 and 27 miles a day.